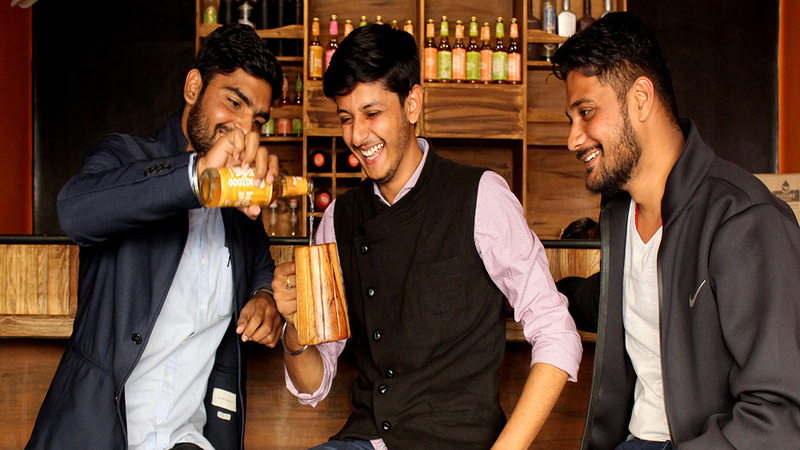 In conversation with Restaurant India, Anubhav Dubey, Co-owner, Chai Sutta Bar talks about his foodpreneur journey and how he is trying to blend hygiene and modernity together. How did the idea of starting your own venture come to you? While I was preparing for UPSC examination in Delhi, me and my friend Anand Nayak (MD of the company) found a gap in the industry where no hygienic tea was being served. Secondly we tried to blend the tradition with modernity by using ‘Kulhad’ for tea. As I was preparing for UPSC, I did not have enough capital. I personally invested Rs 5,000 followed by my partner investing around 3 lakhs more. How has your journey been till now? It has been a journey full of challenges and learning. We, as a brand have gained popularity with time and people have shown great response towards us. We soon started providing franchise to other. Then we geared towards opening our third outlet which was again a great success. You can say that the people of Indore are welcoming us with open arms and we are not disappointing them at all. Then we shifted towards other cities including Ujjain, Bhopal and then Mumbai. How is your brand different from others in this rapidly changing industry? Kulhads. From Indore to Delhi, we bought kulhads probably from everywhere for our venture. We wanted our brand to be eco-friendly which eventually became one of the loved elements at our venue. Currently, our everyday kulhad consumption is around 30 thousand pieces. Our prime motive from the starting was to serve in a hygienic manner. Our product starts from Rs 10 including various kinds of teas which we try to provide here. What is the uniqueness of your brand? Maximum employees working here are orphan, disabled or economically very poor. We even got the call from IIM Indore for recruitment but we are currently satisfied with our own hirings. May be in the future time, we can look towards their valueable offer. We are also providing them with education followed by free accommodation and food. We have created a space which looks like a bar minus alcohol and cigarettes. In fact, the guests visiting us are being served herbal products that can enjoy the taste along it being healthy at the same time. We are trying to provide an ambience no less than bar where herbal products are being served. We are trying to provide products at a very nominal price with highest quality of taste. What kind of audience are you targeting via your venture? Mostly youths. But at the same time, India is known as a country where almost everybody loves tea. So we get lots of customers of varying age group. You can consider it to be an evergreen business if run properly. It would be around 30-40 thousand including all the outlets under our name. How do you see the franchise model expanding with time? It is one of the best models to expand your reach in the current food market. You don’t really have to manage everything on your own which takes away a lot of pressure. When you are starting something of your own, it’s really tough to handle things. That is why I consider franchise model as very effective.